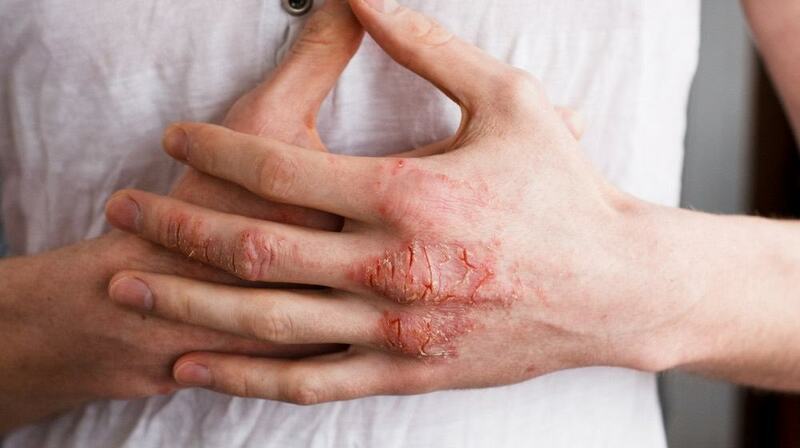 Scientists recently discovered what triggers the painful skin condition, eczema. Today, there’s no cure for eczema, but scientists continue to conduct studies that may lead to finding one. Eczema, a skin condition resulting in a dry, itchy skin, makes sufferers uncomfortable and often embarrassed by the appearance of their skin. According to the National Eczema Association, about 31.6 million people suffer from eczema. At least 17.8 million people suffer with moderate to severe eczema in the United States alone. However, scientists have discovered what triggers this skin condition, which may eventually lead to the discovery of a new eczema treatment as discussed in the Independent. How can this recent discovery lead to finding a cure? First, scientists needed to pinpoint the root cause of eczema. Hopefully, this will lead to discovering a true cure for the painful skin condition, so doctors can eliminate the cause rather than just treating the symptoms of the disease. As discussed in the article, knowing what happens to the skin when it lacks filaggrin could lead to designing a new drug to boost filaggrin production, which would prevent eczema from occurring. Watch this video from Sick Journal to find out more about eczema and some natural ways to treat eczema! With this recent discovery, eczema sufferers should feel hopeful about the progress researchers are making. However, it will take time to see what these new findings will lead to. Do you think this discovery could really lead to a new eczema treatment? Share your thoughts in the comments section below!